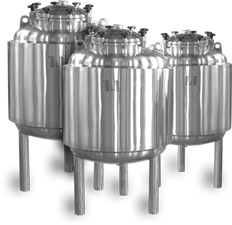 We offer a range of standard solutions, as well as custom vessels and pride ourselves on our ability to understand and meet our customers’ particular needs by producing custom stainless steel vessels to match their precise requirements. Our pressure vessels are PED Certified and conform to PD 5500, ASME VIII, EN13445 and other internationally recognised standards. With in-house control, instrumentation and process designers, we work with our clients to develop, manufacture, install and validate an entire system. 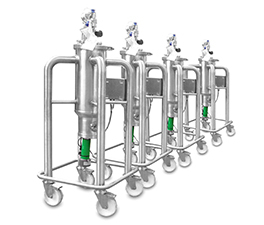 Our ranges encompass static and mobile pressure, vacuum and atmospheric tanks and vessels with spray devices, mixers, jackets, valves, instrumentation and control systems.